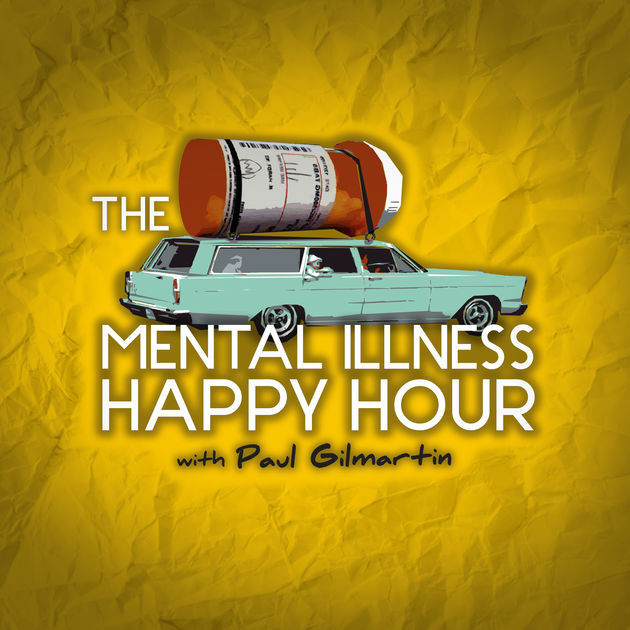 Podcasts: Mental Illness Happy Hour! Host Gilmartin discusses issues related to mental disorders with a variety of comedians, celebrities and regular folks. This show often gets pretty lengthy, somewhere in the hour-fifteen to the hour-forty-five range. The iTunes archive goes back 80 episodes, which is a lot, but the show has almost 400 episodes currently. Check out the rest of that archive at the show’s official page. Behind a paywall, but if you don’t have a Stitcher Premium subscription by now, are you really a podcast fan? This is a really great show for a lot of reasons. A lot of the aim of the show is attempting to destigmatize mental illness, to help the sufferers recognize mental illness as just that, an illness. Gilmartin is a warm and empathetic host and his guests are typically really good. The kind of mental illness being discussed in an episode is really up for grabs; you never know what’s going to be on the next episode. All manner of addictions, all manner of abuse, all manner of delusion, all manner of emotion . . . the show goes down every hallway, no matter how dark. The subject matter is often very disturbing and often very sexually explicit (though not always, of course). But the ultimate message of the show remains one of hope, if a very small one at times. Gilmartin often spends a significant amount of time reading responses to a survey Gilmartin has up on the website and he routinely says that while he can literally do nothing to help some of his listeners in a concrete way (many of the surveys are filled out anonymously), he hopes that allowing the listeners to be completely honest about themselves is worth something. The show is under the Self-Help category and I suppose that’s not entirely off the beam, but Gilmartin doesn’t pretend that the show can cure the listeners or that listening to the show is a substitute for other kinds of treatment. He simply believes that allowing people to tell their stories as honestly as they can is a net good. To those suffering, it can be a game changer to hear that others are similarly struggling; and for those speaking, there’s a level of catharsis evident in the interviews and in the surveys. Gilmartin’s to be commended for this show and if you’re up for unflinching honesty, I can’t recommend this show enough. The show has changed a lot over the years as Gilmartin’s changed up the kinds of guests he gets, added the survey element and done some other tweaking. I’m going to recommend an older one and a newer one, though honestly I think you should probably just go to the page and scroll through the titles. Gilmartin always makes sure the titles are reflective of the content of the episodes, so find one that looks interesting or else seems to focus in on an area you struggle with yourself. But, in case you want specific recommendations, here’s a couple. I’m gonna go way back to the beginning of the show and recommend the Marc Maron episode if you have Stitcher Premium; this kind of show is sort of perfect for Maron and this episode is predictably terrific. This is early, of course, so it’s looser and not as focused as some of the more recent episodes. And then I’m going to recommend one from last year, When Your Trauma Informs Your Turn-Ons, which features one of Gilmartin’s personal friends discussing his childhood as part of an Orthodox Jewish community and the devastation caused when he was molested by a powerful rabbi there. This one really gets deep into some seriously uncomfortable territory, but the story of trauma and recovery and the lingering after-effects even after recovery is really powerful and challenging.